Drop in the broccoli, and cook until tender, about 4 to 5 minutes. Use the strainer insert or a slotted spoon to remove the broccoli to a bowl. Add the pasta to the pot, and cook as directed until “al dente”. Add the tomatoes, salt, pepper, chili flakes, and broccoli. Toss to mix and keep warm. Drain the pasta, reserving a cup of pasta water. 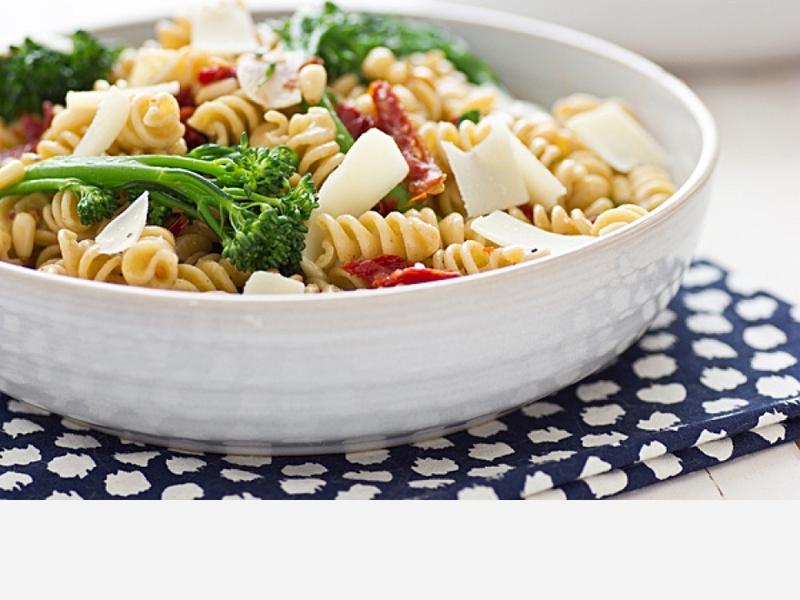 Return the pasta to the pot, then add the broccoli mixture, scraping the pan clean. Toss the pasta and broccoli mixture over high heat, adding a little of the pasta water to help the sauce coat the pasta. Serve in individual bowls, sprinkling the top with some grated Pecorino Romano cheese and….Enjoy!!! !